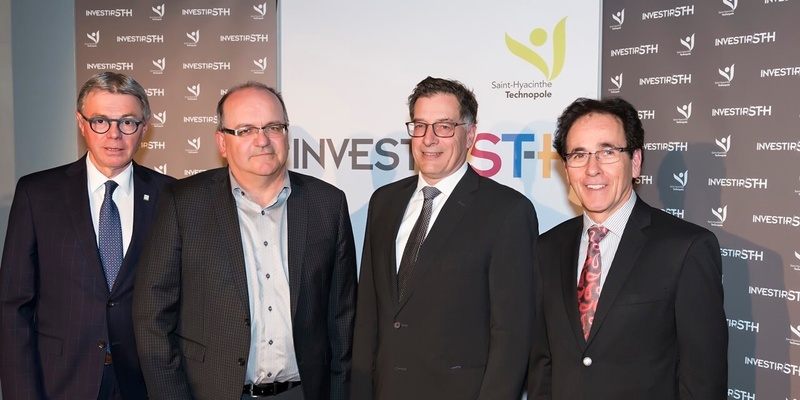 St-Hyacinthe, April 20, 2018 — Biovet and Saint-Hyacinthe Technopole are proud to announce the implementation of a $2,250,000 investment project that will expand its head office facilities at 4375 Avenue Beaudry in St-Hyacinthe. These funds will allow the construction of two new areas totalling nearly 10,000 square feet and a reorganization of existing premises that will include the development of a new analysis laboratory. This work was made necessary by the growth experienced by Biovet over the past few years, particularly in the demand for its analytical services. Saint-Hyacinthe Technopole, which owns the building, is heavily involved in the achievement of this expansion project, contributing up to $1.5 million. Construction work, which will begin in the coming weeks, should be completed this July. Biovet offers animal health and agri-food specialists unique expertise in the field of diagnostics. The company operates a CFIA and USDA accredited laboratory offering a full range of innovative diagnostic services to veterinarians. In addition, it is the only Canadian company to develop, manufacture and market animal diagnostic kits.